Sharkscope.com tracks nearly every tournament played on the major online poker sites. Subscribers gain access to the database of statistics and non-subscribers are allowed five free searches each day. Head over to sharkscope.com and look yourself up! Sharkscope.com accurately tracks tournaments on every major online poker site. It maintains a massive database of these tournaments along with leaderboards where you can see exactly how well you stack up against the very best sit and go players in the world. 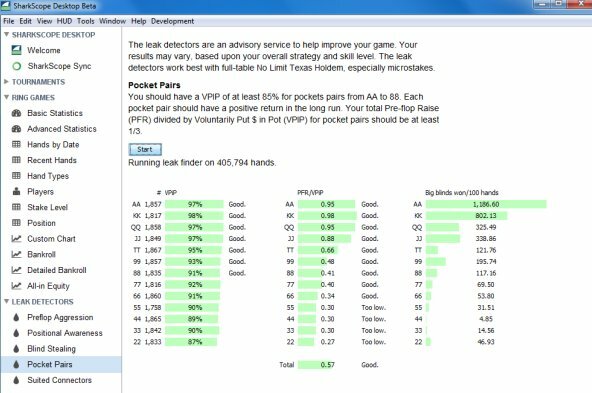 For anyone who plays tournaments seriously, a Sharkscope subscription is a necessity for researching your opponents while you play. To help us see the big picture clearly, Sharkscope assigns every player an ability rating from 1 to 100 and takes many factors into consideration for each player’s rating. The default search results will include games played, average profit, average stake, average ROI, total profit, ability rating, and form (which indicates if a player is currently on tilt or not). 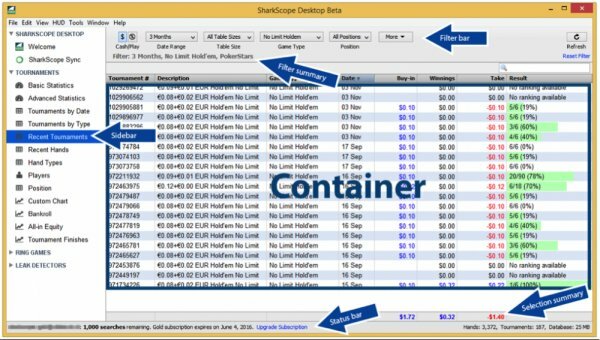 Here is a look at what you will see when you fire up Sharkscope's graphing capabilties. The amount of money that can be made in sit and go tournaments is amazing at the highest levels. Sharkscope is one of the most important tools to help you claim that money yourself. Sharkscope is hands down the best place on the Web to find results from sit and go tournaments. SharkScope is great tool for poker players. It provides lots of details about the poker game/tournament and players. It is a fast and stable web site. It provides a SharkScope HUD tool which is very useful tool for poker players.